They Built A Monument To Their Problem. The official website of Enterprise, AL ( http://www.enterpriseal.gov/#!history-of-enterprise/c6gw ) explains why there is a monument erected to what once was a problem. Enterprise “was threatened in 1915 as the Mexican boll Weevil found its way into Alabama from Texas and wreaked havoc on the cotton crop. In Coffee County, almost 60 percent of the cotton production was destroyed. Farmers faced bankruptcy and the area economy was at stake. Farmers turned to peanuts and other crops to overcome the damage brought by the boll weevil. “By 1917, Coffee County produced and harvested more peanuts than any other county in the nation. (In 1993, Coffee County ranked 4th in the state of Alabama with 128,000 acres planted in peanuts.) In gratitude for the lessons taught, residents erected the world’s only monument to an agricultural pest, the Boll Weevil. Today the City of Enterprise is a beautiful and still growing town of over 27,750. Stores seem to be everywhere. The restaurants are wonderful. The people are friendly. Business is booming where once it was failing. 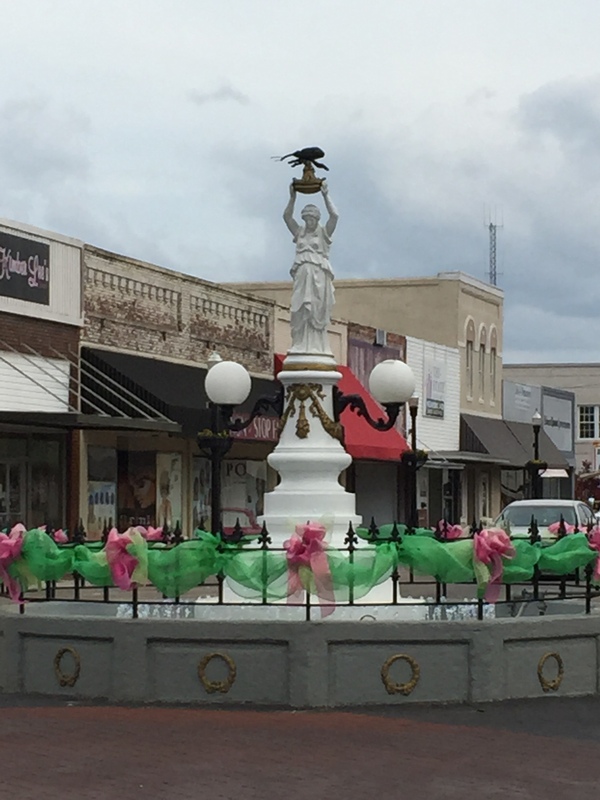 The first time I drove through the downtown area I was amazed to see the Boll Weevil Monument. The woman in the sculpture is holding the problem pest above her head with both of her arms fully extended. It is as if she is showing it off to the world. She appears to be saying, this once was the problem here, but it’s not anymore. The South was horribly devastated by the little boll weevil. Cotton crops failed, farmers went bankrupt, and their farms were foreclosed on when the economy flat lined. The people in Enterprise turned their lives and their city around when they changed from growing cotton to growing peanuts. Peanuts became a great blessing to the whole area and to America as well. They had to be pushed into their miracle recovery. They later erected a monument to the thing that made them change. The monument did not showcase the boll weevil as the reason why the people of Enterprise couldn’t succeed. It wasn’t erected because they were displaying their excuse for failure for the world to see. Building A Monument To A Problem Is Nothing New. It Could Be Said The Lord Was The First One To Display A Such Monument. After the flood God made a monument to remind them of their storm. A reminder that from now on, things would be different. God Instructed Israel To Build A Monument To Their Problem. Joshua 4:3 And command ye them, saying, Take you hence out of the midst of Jordan, out of the place where the priests’ feet stood firm, twelve stones, and ye shall carry them over with you, and leave them in the lodging place, where ye shall lodge this night. Make your monument out of the middle of your problem. Take the makings of the monument home with you. Place it near where you sleep tonight. Your Children Are Going To Ask You Later About Your Monument. Are you still living with it, never changing? Are you still suffering because of it? There Is A Lesson To Be Learned From The Humble People Of Enterprise. That they had a problem, they well knew. To quit and give up was not acceptable. To move away was not the solution. To change was their only answer. What will you do with your problem? Will you let it make you fail? Will you let it make you change? As long as there is life, there will be problems. 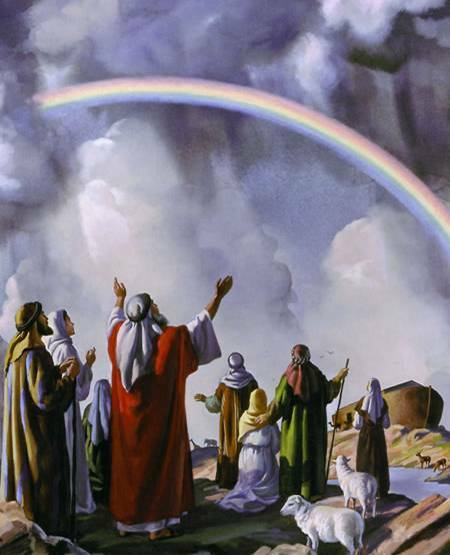 Before Israel went through the Jordan River into their New Life, God charged them ahead of time to gather twelve stones out of the riverbed to build their monument. He knew they would need their own monument as a reminder. But while in the middle of your passing through the problem, don’t forget to gather the materials you’ll need to build your monument when it’s all over. I always look forward to your blogs….thanks elder!